The Selby Swing Bridge Refurbishment Scheme was the most significant refurbishment of the rail swing bridge since it was built in 1889. 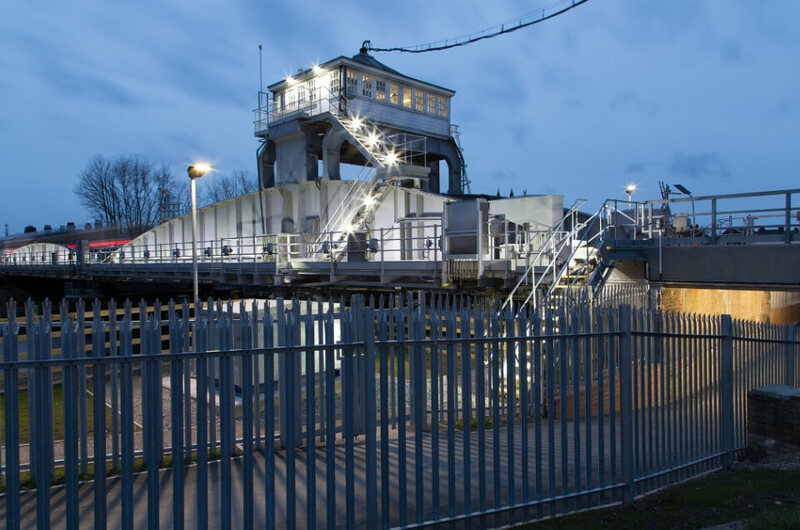 The scheme oversaw the refurbishment of the structure itself which included grit-blasting and repainting of the metal and the hydraulics on the swing span. 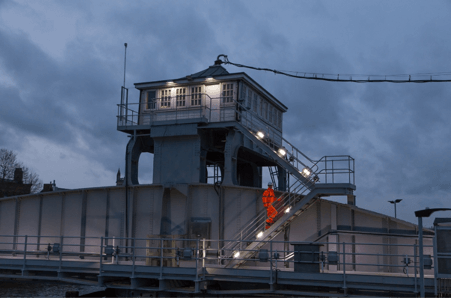 The E&P elements of the scheme included renewal of the lighting to the walkways, under passes, and escape routes, modifications to electrical distribution system, re-supply of Relay Room, temporary site lighting and power supplies. An 11kV substation (Locomotive Way Substation) had previously been installed at Derby Etches Park Depot, which provided power to the North Depot. 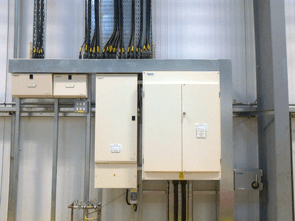 The purpose of this project was to utilise a spare 11kV switch within the substation and provide power to a new modular type substation (11kV / 400V), which in turn would supply the South Depot LV equipment via an existing LV switchboard, and also supply an existing 400V IT shore supplies panel. Due to the different earthing strategies employed at the two installations, the project called for two new 11kV / 433V (off load voltage) transformers. The LV switchboard was to be supplied with a TN earth, and the shore supplies supplied with IT earth as per the existing installation. 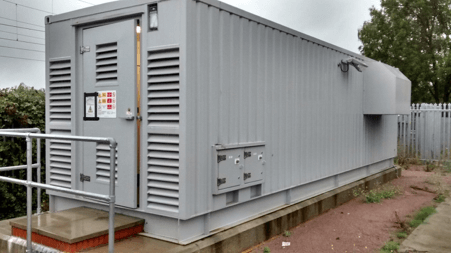 The existing 6.6kV / 400V substation that supplied the shore supplies panel would become redundant, including all associated cabling, as would the 400V supply cables from Derby Railway Technical Centre 6.6kV substation which supplied the depot LV switchboard. A double track GNGE (Great Northern/Great Eastern Joint Line) route ran between Peterborough (Werrington Junction) and Doncaster (Decoy North Junction) via Spalding, Sleaford, Lincoln and Gainsborough. The primary objective of the GNGE capacity relief project was to provide sufficient route enhancements in order to allow freight traffic using the East Coast Main Line (ECML) between Doncaster and Peterborough to be diverted onto the GNGE route, releasing paths on the ECML for additional passenger services. New Cross Gate Station layout consists of 2 island platforms and a facing platform, with a level access from the street into the station building through the ticket gates. All platforms are located on a lower level than the station building and accessed via stairs to each platform. A new DDA (Disabled Discrimination Act) compliant covered footbridge and associated staircase and lift shafts were installed to span between existing platforms, with a high level walkway linking the footbridge to give access to the existing station building and ticket hall. Watford Power Signal Box was originally installed by the Associated Electrical Industries – General Railway Signalling (AEI-GRS) Company in 1964 to control the area from Harrow and Wealdstone to Cheddington. Various re-signalling schemes in the area over the years resulted in a mixture of technologies in operation at Watford, most of which were not supported by manufacturers. Under the proposed re-signalling scheme, control of the area was to be transferred to Wembley Mainline SCC using CBI technology along with extension of the panel and control desk. In addition options for closing-up signals on the Slow lines approaching Watford Junction station, and extra signals in the Down direction in both Watford tunnels were implemented. 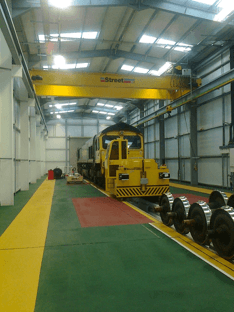 Freightliner Maintenance Ltd had a requirement for the installation of a wheel lathe which was to be housed within a new bespoke shed. The wheel lathe was to provide a tyre turning facility for their fleet of locomotives and wagons. The new facility would comprise of a reinforced concrete lathe pit, an inspection pit, steel portal frame building, composite cladding, roller shutter doors, pedestrian and fire doors, power distribution, light, heat, fire alarm, compressed air and welfare/ office facilities for the maintenance staff. The Signalling Power Distribution for LNE Doncaster to Scunthorpe Scheme will oversee modifications to Doncaster PSB and Scunthorpe PSP and installation of new PSP at Keadby and ASP’s at Gunhouse, Foreign Ore Junction, Kirk Sandall and Medge Hall. The 650V Signalling Power distribution is to be renewed with new Class II cabling and FSP’s. The route is to become Auto-Reconfigure type. As part of the Crossrail infastructure project, the ticket office at Goodmayes Station was refurbished. This included modifications to the layout, ticket barriers and lighting. To allow the changes to take place, a two story temporary ticket office was installed at the front of the station. The purpose of the project was to allow the normal flow of the station to continue while the current station was refurbished. 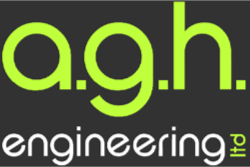 As part of the works, AGH Engineering specified a new 10-Way SP&N distribution board which was installed with the associated timeclock/photocell lighting control arrangement. This was housed within a new temporary distribution enclosure which was fixed to the wall directly below the ticket office distribution board. Temporary lighting was supplied from the new distribution board and installed on the station front, side, canopy and on a temporary ramp leading up to the temporary ticket office. The Project involves construction of a new pedestrian overbridge ‐ the ‘New Network Rail Overbridge’ ‐ over the railway at Luton Airport Parkway Station (an existing Network Rail Category D station). This includes provision of two lifts, five escalators and all associated works required to implement these – such as modifications to existing platform canopies and the existing waiting room. 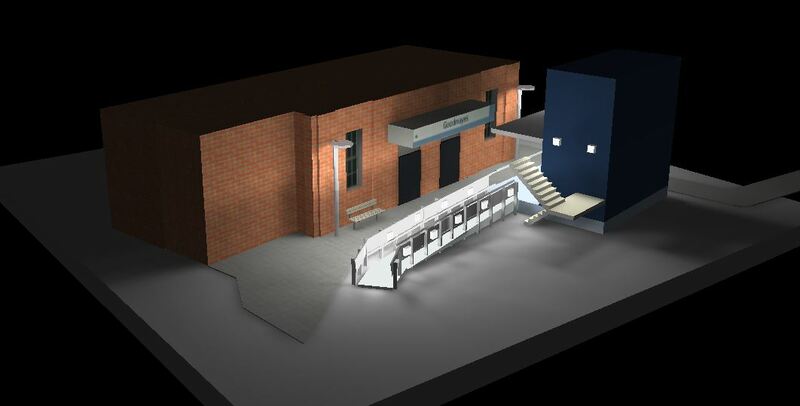 The Project also entails construction of a new waiting room on the island platform (Platform 2/3). 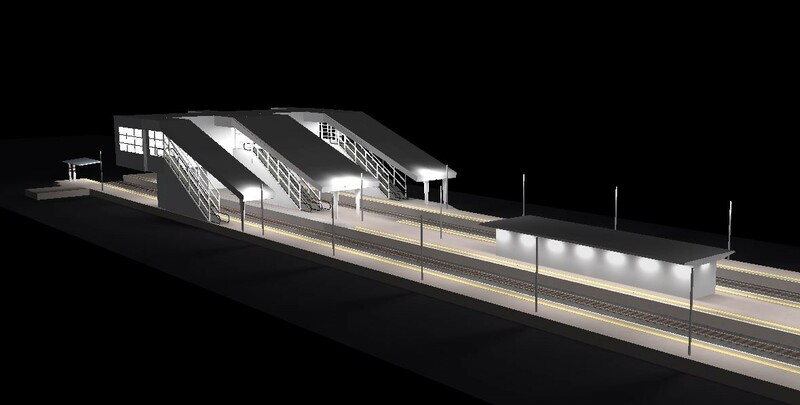 The Project forms part of a wider scheme which is providing a new 2.1km guided mass passenger transit (MPT) system to connect London Luton Airport to Luton Airport Parkway mainline station. Design of new power supplies and containment to serve proposed lifts, escalators, lighting on new footbridge structure and proposed retail telecoms assets (415/230V). 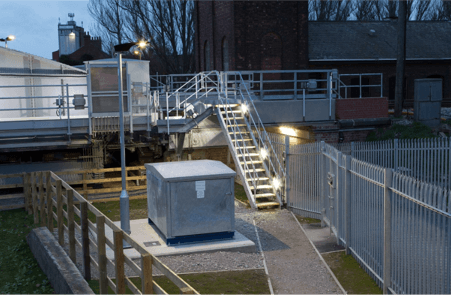 Design of modifications to existing platform lighting to cater for new footbridge structure, existing fire alarm system to cater for new footbridge structure, lifts, escalators and plant rooms. As part of TransPennine Express' Franchise commitment, all public facing areas of their manage stations are to undergo alterations. The Stations to be altered included stations such as Dewsbury, Huddersfield, Hull, Manchester Airport, Middlesbrough, Northallerton, Scarborough, Scunthorpe, Stalybridge, All the relevant lighting at the stations are to be replaced including the Car Parks, Open Platforms, Platform Canopies, Concourses and Ticket Offices. The existing fittings are proposed to be replaced with ASD light fittings and vary between types depending on the station requirements. 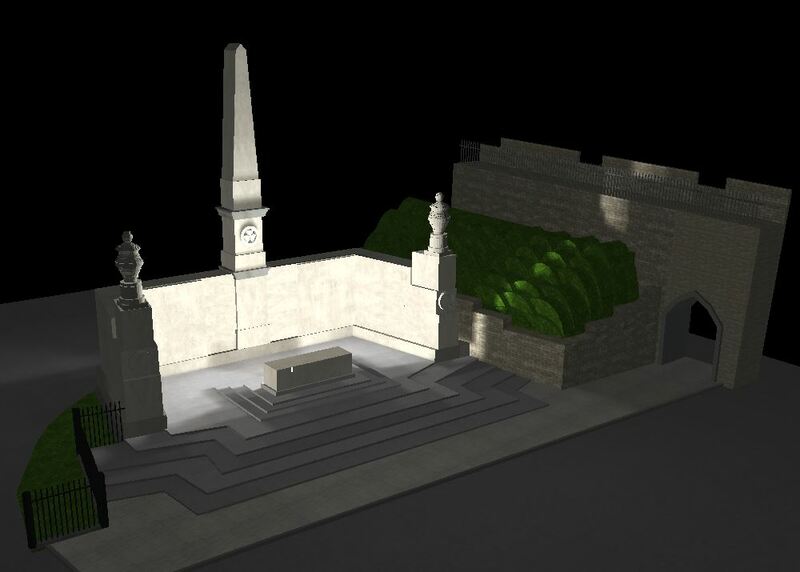 As part of the Network Rail Conservation Maintenance Plan, a phased refurbishment of the York NER War Memorial was undertaken. As part of the works, the luminaire that provided illuminance was deemed to be in a poor condition and in need of renewal. A new LED alternative was proposed to replace the existing metal halide fitting, while utilising the existing supply and containment routes.